Paradise Towers originally aired in 1987. Oh, I see. It’s some sort of robotic cleaner with automotive bicurval scraping blades. Impressive workmanship. No, I don’t, but I intend to. Paradise Towers is brilliant. It’s crazy, it’s overstated, it’s an hour too long and it suffers from the fact that nobody really knows what they’re doing, but there’s a sense of genius at work here. Script editor Andrew Cartmel took over at the start of the season, with no scripts. Time and the Rani came from John Nathan Turner’s reliable Pip and Jane Baker, so Paradise Towers is the first script where Cartmel has been allowed to make his mark. And it’s precisely what the show needed. The execution is significantly flawed, the pacing is all wrong and there’s a sense that not everybody between the script and the camera realised what was going on, but it has a distinct energy to it. Time and the Rani was essentially Doctor Who struggling to keep its head above water. Paradise Towers sees the show diving right into the eighties. 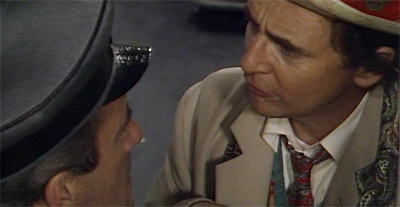 Sylvester McCoy’s first season attracts a reasonable amount of criticism. It’s certainly not his strongest year on the show. The production is remarkably shoddy. Although the Rani appears, we don’t even get any old favourites to help shore up the season and play off nostalgia. That’s actually a pretty big deal, and one which isn’t made enough. John Nathan Turner had been trading off nostalgia since the end of Peter Davison’s first year in the role. The twentieth season of the show had brought back a rake of former villains and guest stars just because. While that might be forgiven as part of the franchise’s anniversary celebrations, the series found itself relying more and more on continuity and familiar faces. Warriors of the Deep saw fit to unite two monsters who had never been explicitly connected before. The Two Doctors was the first multi-Doctor adventure not filmed as part of a significant anniversary. The Master practically joined the main cast of the show, and Attack of the Cybermen was dedicated to resolving lingering plot threads from the show’s black-and-white era. 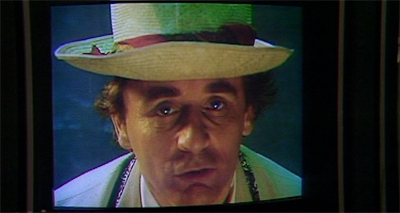 To be fair, the Sylvester McCoy era did feature its share of throwbacks. The Daleks and the Cybermen would turn up for the show’s twenty-fifth anniversary. 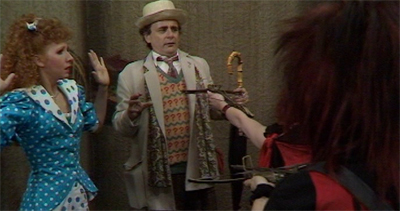 The Rani appeared in his first story and the Master would appear in the show’s finalé. The Brigadier returned to the show in Battlefield and Dragonfire features the return of Glitz. However, this is pretty far from the excesses of the Peter Davison or Colin Baker era. There was a sense that Doctor Who was going to be trying new things, to make up for the ground it had lost in four years of essentially spinning its own wheels. McCoy’s first season isn’t great television. Indeed, I’d argue that Paradise Towers is the only part of it that is good television. However, it is experimental and innovative and alive. It’s as if everybody involved in the show is trying to figure out how to make Doctor Who again. And not just a throwback to the giddy heights of the Tom Baker era, but an updated version of the show. There are teething problems. For one thing, nobody has any idea what to do with the two leading characters. The Seventh Doctor doesn’t really have a personality yet. There’s a sense that he’s making it up as he goes along. Given that Colin Baker’s Sixth Doctor was (apparently) created with a clear character arc in mind, perhaps we should welcome the improvisation here. Still, there’s a sense that McCoy is a bit lost. It’s like he’s shown up to work and somebody has shoved a script and an umbrella in his hand. So we get ill-conceived slapstick moments like the Doctor’s bumbling talking-to-himself panic when confronted by a bunch of evil cleaning robots. “Oh no, not you again,” McCoy tries to wrest drama from the line. “I’ve got too many things to work out. You really aren’t helping. What do you want anyway? Is it my death?” I actually don’t mind McCoy’s trickster schtick, as I think he plays that superbly. However, Paradise Towers plays him more as a bumbling idiot, and McCoy lacks Tom Baker or Patrick Troughton’s charisma. Still, Mel begins to really grate here. You can see how Mel devolved into “the screaming companion”, a role which she earned so quickly that even her swansong, Dragonfire, takes time to mock it. (Indeed, even Delta and the Bannermen features an alien girl whose scream repels monsters.) The weakest parts of Paradise Towers follow Mel and Pex traipsing around the building on the way to the lavish swimming pool in the sky. This has nothing to do with the performances from Bonnie Langford and Howard Cooke, just that the story isn’t sure what it wants to do with them. Pex works a lot better as a concept than a character. 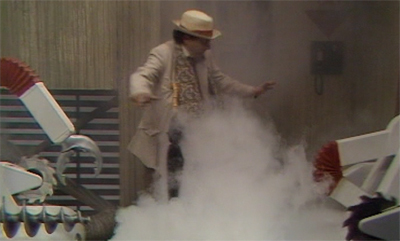 Paradise Towers is Doctor Who bursting into the eighties. It was the era when cyberpunk went mainstream. It’s no coincidence that the big science-fiction film of 1987 was Robo-Cop. Paradise Towers feels like it owes a debt to the science-fiction absurdity of 2000 AD, with Pex serving as a parody of the same kinds of violent American heroes that Judge Dredd had such fun spoofing. 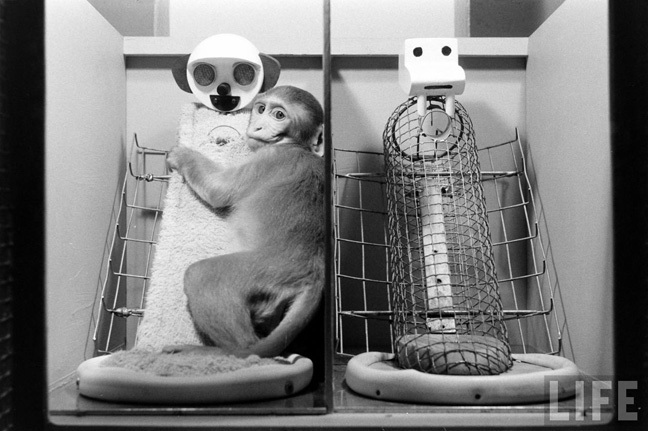 Paradise Towers is science-fiction as allegory. It’s biting social commentary, using a fantastical set-up and an absurd futuristic world to explore very modern concerns. To be fair, the Colin Baker era produced two such samples of satirical science-fiction, with Revelation of the Daleks and Vengeance on Varos providing subversive political observations. Those two stories were solemn in their observations, downright bleak in their outlook. If they were social satire, they were the very darkest form of comedy. They featured acid-baths and processed human remains served as food to the rest of the galaxy. 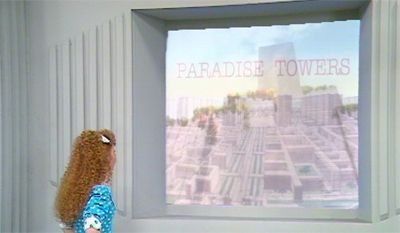 Paradise Towers feels a lot more comfortable with itself, not feeling the need to assert how grim this dystopia is. It’s not afraid to be goofy, and it doesn’t confuse dark for deep. While it features cannibalism, it steers clear of the grimness of stories like The Two Doctors or Revelation of the Daleks. The absurdity of the situation is played up, rather than the unrelenting darkness. There’s a strange sense that Paradise Towers is almost comfortable with itself, and isn’t insisting that the audience take it entirely seriously. Even when Mel is confronted with the threat of being eaten alive, the show doesn’t feel as exploitive as it did whenever it put Peri in danger. The fact that Mel is trapped by two old biddies using a home-knitted blanket and threatened with a cooking fork pushes the moment into the realm of the absurd, removing a lot of the uncomfortable “putting a beautiful young woman in danger for your viewing pleasure” aspect of the cliffhanger. Paradise Towers is essentially a story about urban decay. Tower buildings had been a fixture of urban architecture since the middle of the twentieth century, with various countries having their own troubled history with the buildings. In America, for example, the (admittedly exaggerated) story of Kitty Genovese became a symbol of twentieth century urban anomie, social isolation. The Pruit-Igoe complex in St. Louis had been heralded as a bold new era for urban living. It turned out to be a disaster, with the last demolition conducted in 1976, and the project living on as perhaps the infamous failure of social planning. These blocks were also popular in Western Europe. The Ballymun Flats in Dublin were the epicentre of the city’s heroin epidemic in the eighties, with only one of the towers still standing. Demolition of Plunkett tower is planned for 2014. One of the demolished towers was converted into a posh hotel shortly before it was destroyed. In the United Kingdom, interest groups like the National Tower Blocks Network were campaigning for the demolition of these structures in the eighties, lending Paradise Towers a particular resonance. The buildings in Paradise Towers have fallen into disrepair. Fascist caretakers wander the corridors in their gestapo uniforms. Feral children become gang members because there’s nothing else to do. The phones don’t work and people have forgotten that the vending machines work. Graffiti decorates the wall, a form of artistic expression for a disaffected youth culture. Paradise Towers suggests some sort of social regression here, with the “wallscrawl” serving as a historically important record for the gangs – akin to cave painting. Paradise Towers wears its influences on its sleeve. The dialogue of the Kang children evokes that language from A Clockwork Orange. The whole story owes a considerable debt to J. G. Ballard’s High Rise. The use of gang colours seems like a reference to the use of red and blue by the Bloods and Crips in Los Angeles from the late seventies onwards, but the make-up and physical appearance of the gang members calls to mind the youth counter-culture of the late seventies or early eighties. Whilst the Conservative government’s approach to the urban renewal was to take a US inspired approach and to develop brown-field sites into up market consumption spaces (projects usually realised by Urban Development Corporations) the sheer scale of urban decay left plenty of other spaces for a more underground uses. In Manchester pop culture found a new home in old industrial spaces. The empty mills and factories lent themselves as spaces for bands to rehearse in, club nights to take place, as inspiration for the lyrics and sounds of the city’s pop music. These examples of temporary use become more established with the emergence of places like Affleck’s Palace (a pop cultural retail market based in an old department store building) and the Hacienda nightclub which was made new use of an old warehouse. Through the creative re-uses of industrial buildings pop culture begins to change the built environment of the city. The Kangs seem a rather clever way of tying that all together in a story about the decay of the urban living environment, where even nice old ladies are forced to prey on the children in order to survive. It’s everybody for themselves. “Now everybody has to fend for themselves, take what they can find,” Tilda explains. We’ve come a complete 180 degrees from the socially conservative politics of Time and the Rani, where the only reason for unemployment was because stupid people apparently weren’t willing to work. The Cartmel era was explicitly and proudly opposed to Margaret Thatcher’s social policies, and it’s obvious from Paradise Towers onwards. This is Doctor Who getting consciously and overtly political, taking some comfort in the idea that the fact the show features killer robots and Richard Briers chewing on scenery will keep the mainstream press fooled until 2010. It’s no surprise that Russell T. Davies warmed so readily to this era. Indeed, there are quite a few areas of overlap, a few similar ideas that pop up during his time running the show. The image of the two old “Rezzies” living alone together can’t help but evoke comparisons to Davies’ Gridlock, a similar piece of social commentary which featured elderly lesbians living together. 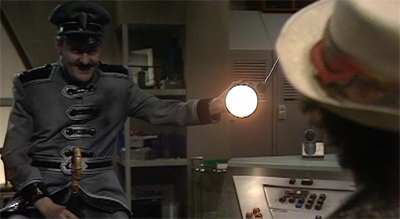 The rest season contains a number of ideas which appear during Davies’ tenure on Doctor Who. Like Delta and the Bannermen, The Idiot’s Lantern features the Doctor arriving in the fifties in the United Kingdom instead of the United States. (Bonus points because they bother feature the Doctor driving two-wheeled transport.) Davies apparently originally pitched The Long Game for this era of the show, but the “used capitalist future” of stories like The Long Game and Gridlock feel like they owe a sizeable debt to the planet-sized Icelandworld store in Dragonfire. Still, Paradise Towers is held back from greatness by some considerable flaws. For one thing, the third and fourth episode feel over-extended. I’m hesitant to suggest another serial from this season which could use another episode (oh, make Delta and the Bannermen end! ), but it feels like Paradise Towers might be stronger if it were condensed down to a three parter, with a lot of the stuff at the pool cut and the Chief Caretaker’s arc hastened a bit in the middle. There’s also a sense that Andrew Cartmel and writer Stephen Wyatt are operating at a completely different level than most of the production staff. The scripts for the remainder of the season are a bit wry and subversive, and they suffer from the fact that they are being produced in a conservative way. The scripts aren’t classic Doctor Who, but the production style definitely is. The lighting is turned up, the camera angles are obvious, the direction is decidedly old-school. John knew the constraints of the BBC budget, and he knew what you could do with the BBC effects department. What you’re really talking about is working on a limited budget and in a limited time span. The script said killer robot drags girl off and what you get is what you’ve just described. If it had been shot like a James Cameron film, you’d be reminiscing about how incredibly scary those things were. Would that we’d had those sort of budgets, or the sort of gifted design you get in Terminator which was a relatively low budget movie. This is going to be a running theme throughout this interview. On Who we had special effects teams made up of a lot of people, some of whom would never have seen a film like The Terminator, in fact they’d probably go out of their way not to see a film like that. If we’d had hungry young guys who knew what was possible, even with the budgets, they could have done fantastic things. It’s a fair point, and I think that – over the following two seasons – Cartmel learned to better balance the energetic enthusiasm and novelty of his writers with the conservatism of the production staff. It’s also worth noting that Cartmel begins to tease the notion of the Doctor as a mystery here. The Sylvester McCoy era represents a departure from the continuity-heavy approach of the past few seasons, but that doesn’t mean Cartmel isn’t interested in the Doctor’s past. 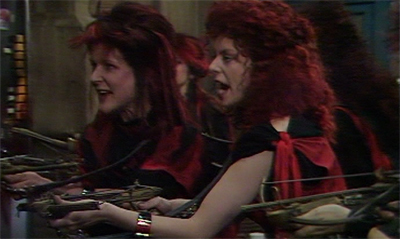 The involvement of “super-fans” within the production staff on Doctor Who led to the sense that the show was looking to fill in any gaps in the character’s history. Attack of the Cybermen was about reconciling The Tenth Planet with The Tomb of the Cybermen. 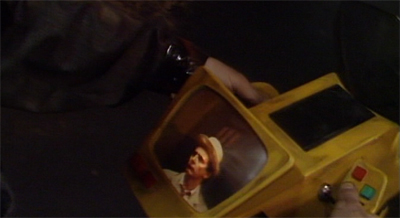 Timelash referenced an earlier off-screen adventure featuring Jon Pertwee. The Time-Lords were featured extensively in stories like Arc of Infinity, The Five Doctors and the season-spanning The Trial of a Time-Lord. There was a sense that there was very little we didn’t know about the Doctor and this his history was contained in the past twenty-odd seasons of the show. The reliance on continuity served to shine a flashlight into the Doctor’s past, pointing out that everything had its place, and everything fit. Cartmel suggested quite the opposite. There’s something we don’t know about the Doctor, apparently. And it’s something that will be new to both casual viewers and long-term fans, because the show doesn’t pander or play favourites. The Doctor had a past, but it didn’t necessarily contain the Master or the Cybermen or the Daleks. It was something we didn’t know about. This “Cartmel Masterplan” was hinted throughout Cartmel’s time as script editor. And the very first suggestion is made here. When the Doctor arrives, it is immediately suggested that he is in fact the mysterious designer of the complex. 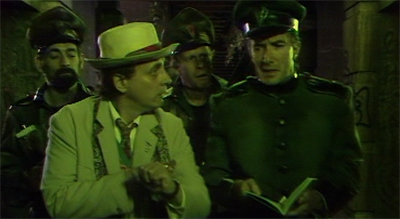 In fact, the Chief Caretaker is convinced that the Doctor isn’t just some random passer-by, he’s coming back to check in on his work. 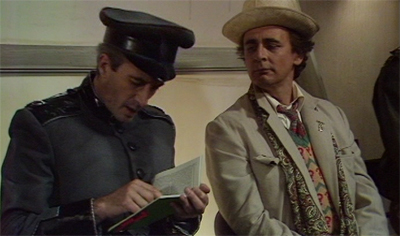 This might seem like a fairly conventional case of mistaken identity, but Paradise Towers is careful to maintain the possibility that the Doctor could be the architect until the last possible moment. After all, the Chief Caretaker notes that the architect’s modus operandi should seem quite familiar to the viewers at home. “Just when Paradise Towers was being completed, before any of us got here, he disappeared under mysterious circumstances,” he explains. “Never been seen since anywhere.” This is certainly something the Doctor is quite fond of doing. In fact, Bad Wolf turns this pattern of behaviour into a plot point, suggesting that the Doctor tends to leave just when the hard part begins. The Caretaker continues, “Odd indeed for a being whose head was apparently full of extravagant future plans. But I always knew in my bones he’d turn up again one day. Start altering things just when I’d got them the way I wanted.” Again, this seems to be an accurate assessment of how the Doctor operates. Indeed, “the Great Architect” sounds like it could easily be a name a primitive culture assigned the Doctor. Doesn’t the character have a habit of arriving and tearing down corrupt cultures so that new and improved societies may be erected on their rubble? Suer, we discover early on that the architect has a name (“Kroagnon”), but the show keeps up the suspense long enough. During interrogation by the Chief Caretaker, the Doctor fumbles his pronouns quite a bit – hinting that he might actually be the man responsible for this mess. “And that would justify killing me… I mean him?” the Doctor asks after the Caretaker explains his position. Of course, it turns out that Kroagnon has been hiding in the basement eating the staff, but that’s not important. The important thing is that Paradise Towers doesn’t dismiss (or clarify) the case of mistaken identity as quickly is it might. Paradise Towers is an underrated gem. It’s far from perfect, but it’s a very clever and very bold piece of science-fiction, and it marks a clear direction for the series. It’s the start of great things, marking a path back to consistent quality for the series. Of course, we do stumble once or twice along the way.